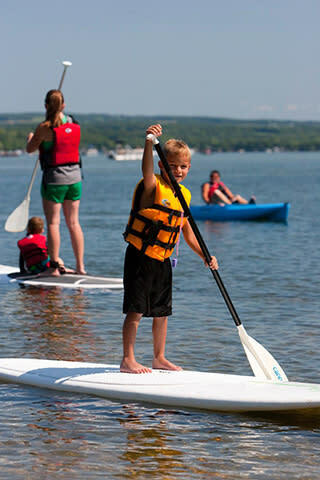 April 27, Cayuga County, NY – National Travel and Tourism Week, America’s annual salute to travel and tourism, was established by congressional resolution in 1983 and serves to champion the power of the tourism industry in the United States during the first full week of May each year. Travel and tourism is a $100.95 million dollar industry in Cayuga County, generating $12.05 million in state and local tax revenue and providing $388 in tax relief per Cayuga County household. In addition to the workforce directly employed in the tourism industry, it further supports workers in other industry sectors such as construction, manufacturing and finance. There will be a brief presentation and a proclamation recognizing May 1-7, 2016 as National Travel & Tourism Week in Auburn, NY at Auburn’s City Hall on Thursday, May 5, 2016 at 6 p.m. For a complete report on Cayuga County Tourism and the economic impact of tourism in Cayuga County, call the Cayuga County Office of Tourism at 315-255-1658 and ask for our Annual Report.